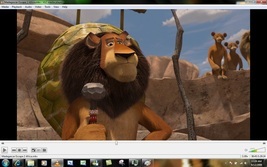 Home » buy_with_confidence » VLC Media Player - Superior to Windows Media Player in Multiple Areas&EZ 2 Use! 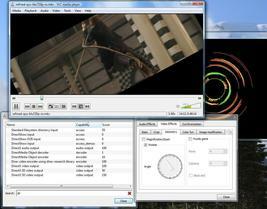 VLC Media Player - Superior to Windows Media Player in Multiple Areas&EZ 2 Use! This Listing is for One Brand New VLC Media Player Software Installation Disc for Windows. VLC is superior to Windows Media Player in many areas such as: Input Media, Input formats, Etc… It’s better more full featured software that’s easier to use than WMP! 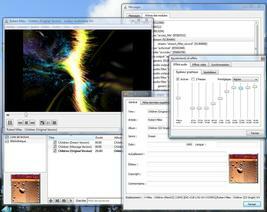 Features Simple, Powerful and Fast Media Player Plays everything, Files, Discs (DVD, CD, VCD, Blu-Ray), Webcams and Streams Plays most video formats with no codec packs needed: MPEG-2, H.264, DivX, MPEG-4, MKV, WebM, WMV Works on most platforms: Windows, Linux, Mac OS X, Unix... Completely Free, 0 Spyware, Ads or User Tracking Media Converter and Streamer ****This is not a boot limited, OEM, shareware, bootleg or trial version, No activation or CD key is required to take full advantage of this software. CD-ROM set does not come in a retail box as it is Open Source software. Installation is as simple as inserting the CD in your computer. All the software included in this listing and included on the CD-ROM are Open Source, not "freeware" or "shareware", and fall under the terms of the GNU Public License, and the GNU Lesser General Public License (LGPL). No copyright or trademark laws have been infringed. This product is in full compliance and full accordance to Media Policy and Unauthorized Copies Policy. Thanks for Looking! Please listing with confidence, I only sell items that I would be proud to purchase myself!